If you know Olaj Arel, you would definitely know her daughter! 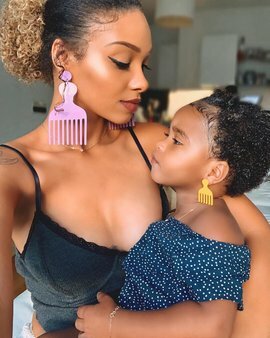 This super hot mother has been serving us some mother and daughter inspiration on Instagram for a long time. Whenever I see her picture with her daughter, I feel the need to have one as soon as possible. So if you have a daughter, why don’t you make everyone jealous this Christmas? I am pretty sure that these pictures would inspire you in so many ways. Having a mini-me is every mother’s dream. I hope we can spark up something interesting for you this Christmas.